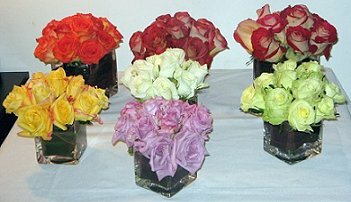 Let Flowers by Richard make all your special days, EXTRA special! 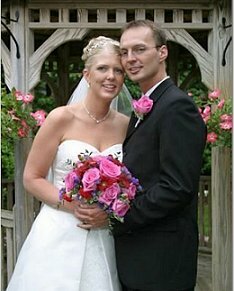 Breathtaking Wedding Flowers ~ We specialize in creating your full-scale wedding arrangements. Whether formal or casual… a small gathering or the social event of the year… it’s sure to be a “blooming success” with Flowers by Richard designing your bouquets and floral decor. Flowers by Richard takes pride in always delivering professional service and the highest quality flowers and floral presentations around! We specialize in fine wedding designs and we enjoy personalizing your designs to fit your expectations. 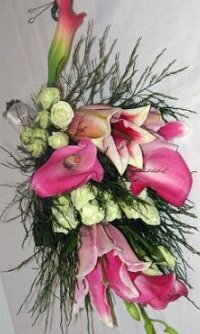 A party is varied as the people who give them and the flowers for party should match the mood and the occasion. 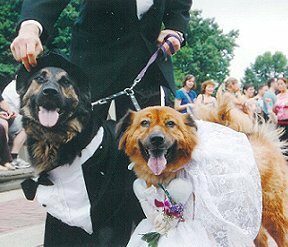 We have experience doing flowers for birthday parties, retirement bashes, for charity fundraisers, for Christmas entertaining and........ of course for WEDDINGS. Call us in advance to schedule a convenient time for a free consultation to discuss your wedding flowers with a designer or event coordinator. We design wedding packages that include table centerpieces and reception flowers, as well as all your essential bridal party flowers, corsages and boutonnieres, too! Whether you prefer a look that is timeless and traditional or sleek and contemporary, Flowers by Richard will design arrangements to reflect your individual style & budget. 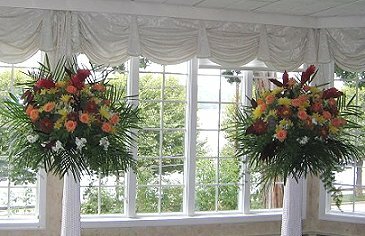 Our talented floral wedding consultant can suggest many beautiful design styles to create the look you hope to achieve. We also offer you a free throw away bouquet. If you are planning a dream wedding feel free to contact Flowers by Richard at (212) 582-3505, so we can bring your special day to life!